This was the most wonderful way to make an appointment as new patient. No problems at all. I waited just fewminutes to see Dr.Rashid, he super nice, very well explained about the situation. He helped me to understand the issue for what i was there. He recommended me what to do about it. And he asked many times if i have more questions. I really recommend to go if you need a nice, professional and honest dermatologist. Thanks Dr. Rashid ?? This was the most wonderful way to make an appointment as new patient. No problems at all. I waited just few minutes to see Dr.Rashid, he super nice, very well explainedabout the situation. He helped me to understand the issue for what i was there. He recommended me what to do about it. And he asked many times if i have more questions. I really recommend to go if you need a nice, professional and honest dermatologist. Thanks Dr. Rashid ?? Quick and efficient appoint. Dr. Rashid made sure he answered any and all questions I had prior to me leaving. Willdefinitely be back. Quick and efficient appoint. Dr. Rashid made sure he answered any and all questions I had prior to me leaving. Will definitely be back. Please note the clinic policy. If you are late, no show, cancel OR re-scheduling after 2pm the business day before your visit - our no show and late show policy applies. We do not take cash in the clinic. 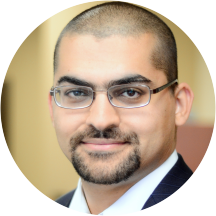 Dr. Rashid was born in Puerto Rico and has completed an MD and a Phd doctoral degree. He graduated from Loyola Medical School in Chicago and completed residency at the combined UT & MD Anderson Cancer Center training program. Dr. Rashid made my visit very enjoyable!! I was immediately seen upon arriving to his office and checking in. Dr. Rashid listened to my concerns, explained his plan of care and ensured that I understood the plan. He asked several timesif I had any additional questions, and gave a detailed description of the procedure that I needed. He had a great sense of humor, making a small joke while he gave me an inject so that he could distract me. As a healthcare provider myself, this visit was a breath of fresh air and I look forward to my follow-up! Been a patient for years. He always does a great job and makes sure to answer any questions. Always very prompt and answers all my questions and very thorough. Wow! I arrived 20 min early for my 9 am appointment and he saw me right away. I was leaving the office before 9 am! Dr. Rashid is very friendly and efficient! Nice person. Professional. Asked me twice if I had any questions, and quickly treated my problem. Very impressed & felt like I was in good hands. I had a couple suspicious moles removed & was in and out so fast (20 mins) I made it to work on time. So glad I've finally found my dermatologist in Houston! Dr. Rashid was great. He has a great bedside manner and really listened to my history and preferences. His staff is also incredibly prompt and efficient! Highly recommend. Minimal wait time, very up front and open during visit. Always respectful, always reassuring, always informative. Fantastic physician. Admin staff is likewise always respectful and delightful. Can’t recommend the doctor enough. This was the most efficient doctor’s appointment I’ve ever had. I was in and out in under 15 minutes. The doctor was very nice and took my concerns seriously. I would highly recommend. Today was awesome I wish it was a longer wait to get my monies worth haha but seriously he was great comical easy to talk to and professional and answered any question I could think of. I didn’t even sit inthe waiting room I signed in and walked straight to the back. ?? It was great. Highly recommended. Extremely professional and transparent. Awesome. I had 4 separate dermatologic issues, which he handled with ease. Great bedside manner. I really appreciated the privacy and professionalism. Office wait time was <2 minutes (and that’s with me being 10 minutes late). Whole visitwas less than 30 minutes and that’s including a quick procedure and follow-up scheduling. All meds we’re at the pharmacy ready for pick up within an hour. Highly recommend. First visit but got a good vibe and liked Dr Rashid's proposed treatment plan. Absolutely faultless. From what I can see he did an impeccable job on my suspect mole. A friendly and professional doctor. Amazing doctor. Really nice guy as well. Had great insight. Went for a consultation about treating my acne. In and out very quickly but didn't feel rushed at all. Dr. Rashid was very kind and professional, and repeatedly asked if I had any questions after explaining each component of the treatmentprocess. Also the early morning times are very convenient for scheduling around work/classes! Dr. Rashid is very good at what he does; he definitely knows his stuff! Very happy with his efforts. Visit went good. They were tuning ahead of time and gave me a call. This worked great for me. I was taken to exam room, right away. Price was fair. Doctor was polite and informative. Made the visit fee stress free. Appt was on time and to the point. Good communicator, easy to talk to. Got the job done quickly and maintained a welcoming environment. I did not have to wait more than 5 minutes to be seen by him. I really appreciate doctors being on time since our time is valuable as well. He was very personable and gave me plenty of time to presentmy concerns and ask all my questions. He explained the treatment very clearly. The office was very adequate and personnel was friendly. Dr Rashid is super quick and I’m sure with all of his experience he knew exactly what issues I had, but the visit wasn’t as personable as it could have been. Dr. Rashid was very professional. I did not have to wait long at all. Dr. Rashid listened to my concerns and continuously asked if I had any additional questions. Very professional and honest assessment of options. I love this doctor. He asks if you have questions and answers all of them! Then asks if you have any more! He is very respectful, professional, and kind. I’ve been going to appointments for about 6 months and have a great experience every time. I had a very pleasant experience with Dr. Rashid and his office staff. The entire process was extremely smooth sailing and FAST! I would definitely recommend Dr. Rashid! Thank you! Dr. Rashid is a great doctor. i was happy with my visit.